Pictures taken during a visit to a nearby hobbyist. 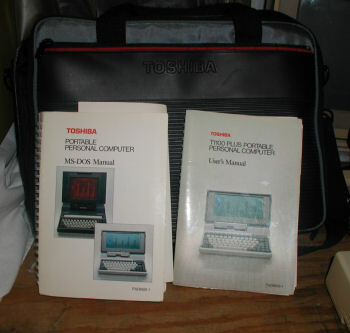 This system was later sold to Vulcan Electronics. Funny, as much as I use my IBM XT for testing, I never took any pictures of it before. 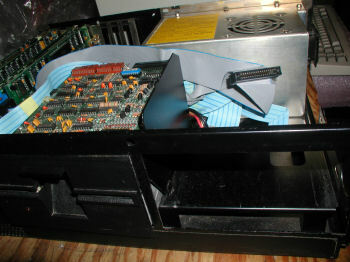 The empty right-hand drive bay of my IBM 5160 XT computer has been used to test countless floppy disks and hard drives destined for other systems. 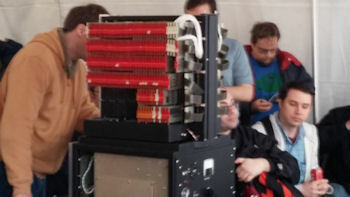 The reliability of this computer allows me to focus on the drive and any issues that may be related to it, knowing I can count on the computer. 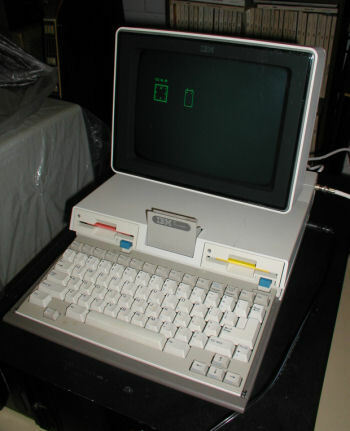 The IBM 5144 was the first "modern" design display made by IBM. The IBM 5140 PC Convertible Laptop had a lot of add-on features. One of these was an rear attachment for an external display. 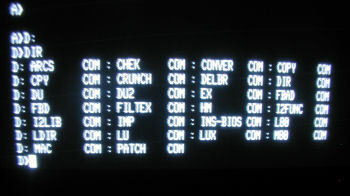 Pictured is the 5144 monochrome display. 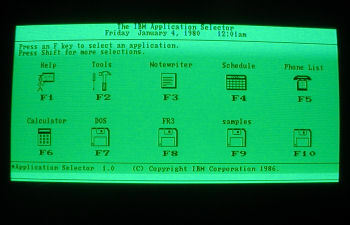 The IBM 5144 the monochrome display made for the Convertible. There was also a color version. 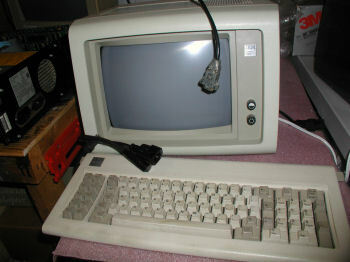 The 5144 pre-dated the PS/2 line VGA monitor style, and had the same angles as the 8514 and other first generation PS/2 VGA monitors. 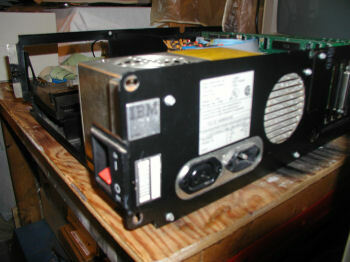 The IBM 5140 came with a customizable menu program and IBM DOS 3.2. 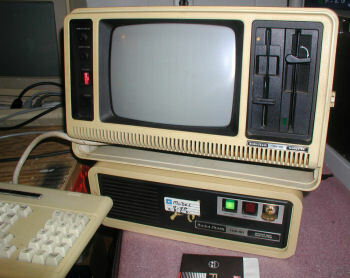 The TRS 80 Model III with Texas Peripherals 10-5355 drives. 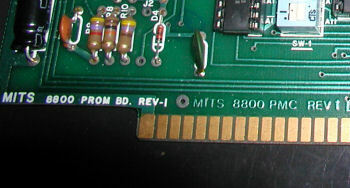 The top drive in this unit (drive 1) is not functional so I replaced it. 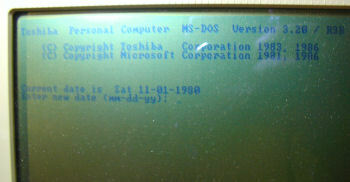 I ran some tests on my Toshiba T1100 Plus laptop. 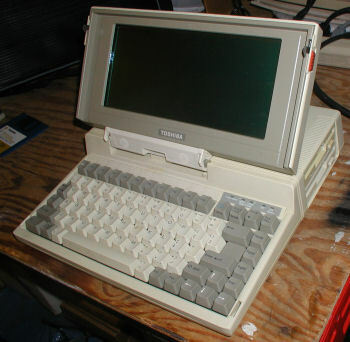 The 1986 Toshiba T1100 Plus laptop. The LCD display is perfect, and the battery still holds a charge. This is rare for such an old laptop, so I periodically re-charge the battery to try to keep it functional for as long as possible. The only issue is that I have to charge up the battery for about 15 minutes before I can complete the boot cycle and load its Toshiba DOS v 3.2. I have three Model 4's, this one was used last year by one of my students for his class project. 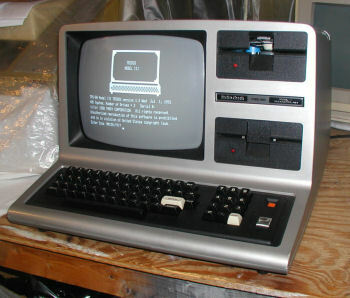 TRS 80 Model 4 with replacement high capacity 1/2-height disk drive. 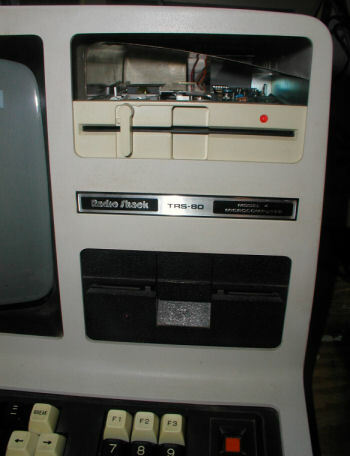 I ran a series of tests on my TRS 80 Model 4P with TRS 80 15 Meg hard drive. 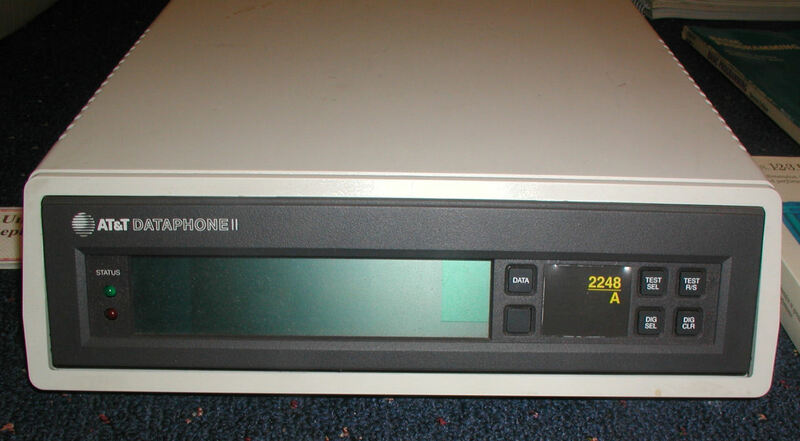 I got this one in a trade with Kelly of MARCH, in exchange for a complete Model 1 set up with Expansion Interface. 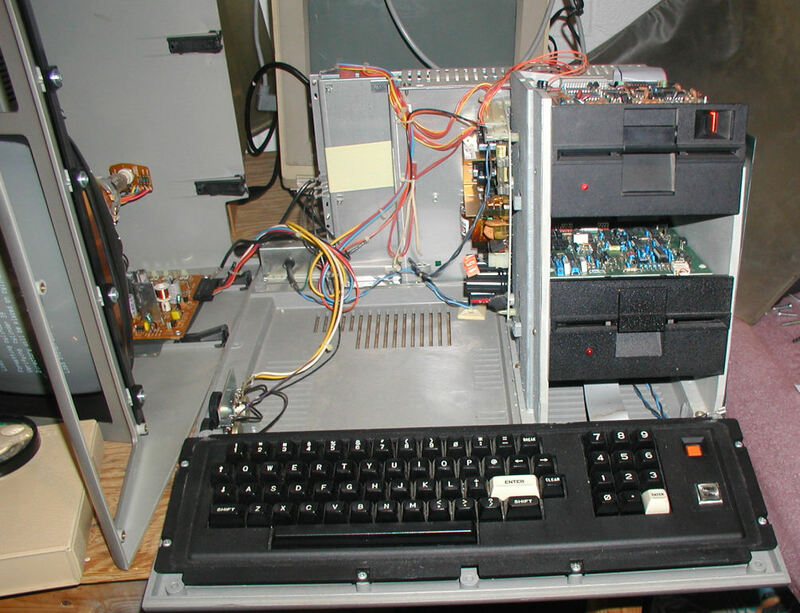 This system is formatted with Montezuma CP/M and the hard drive is partitioned into A, B, C, and D drive. 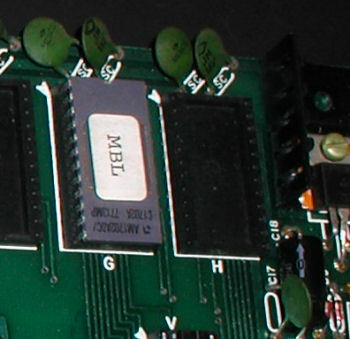 The disk drives are E and F. There is also an M RAM drive.